I have no idea why I needed to go back and read Runners by Sean Wang last night, but I really just wanted to dive into a good old fashioned and overlooked science fiction space comic book, and generally Runners fits that bill wonderfully. Overlooked, underappreciated, and almost a decade old, sometimes it is worth going back to check and see what was happening in comics that long ago. 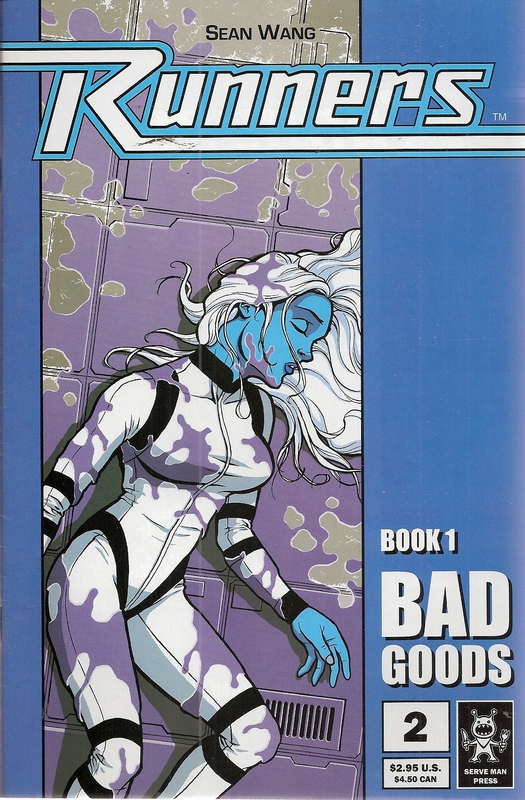 The good part is that Runners has some awesome staying power, and a review this late in the game is well worth following up, mostly because Sean Wang has his web site still operational, and went web comics on top of it. So even if you don’t want to buy it, you can get a pretty good idea of what it was like to read these comics before most science fiction sucked in comics. There is even a YouTube video for your enjoyment if you want to watch it, it is about six and a half minutes long, but is entertaining. The sad part about video is now you will be reading the comic book online using the voices from the video rather than substituting your own voices for the characters. Which in some ways can be good, otherwise you never really know what you are going to do with the video, and the minds eye that we are working with when we are reading a comic book. There is always something interesting going on with the lot of loveable losers that abound in this comic book series, from bad smuggling deals, to getting double crossed all the time, to getting lost in the snow. The story line just seems to go from bad to worst, and that is reflected in the in the video below. 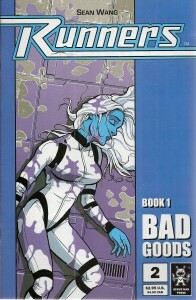 This series was just good clean comic entertainment for the space adventure genre. The story line involves space smugglers who never seem to get a fair shake or a good deal. They are lovable losers in the great game of galactic politics on the short side of the stick. It is very well drawn, and overall enjoyable. You can find the occasional print both on the Runners store and on amazon or eBay so they are fairly easy to find. This is an often overlooked series, but one that is worth checking out and seeing what it is like to read a space adventure comic book that does not stink, is well drawn, well lettered, and well colored. It would be great to see this series resurrected, but it might have run its course, and the writer has moved on to other things. This one is well worth finding and adding to your comic book collection.